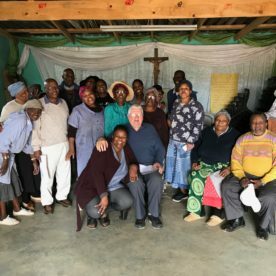 Great plans are in place for the community of Our Lady of Victory in Tsakane, South Africa. Under the leadership of parish priest Fr Martin Morrissey MSC, the purchase of a new building for the community is in its final stages. This will then be developed into a church for the community, which currently numbers 60 and is growing steadily. Fr Martin Morrissey MSC chats with parishioners at Our Lady of Victory. 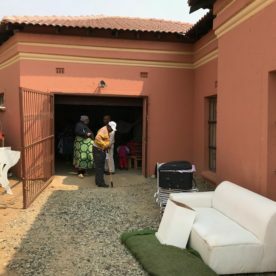 The community of Our Lady of Victory currently gather to pray in a family garage. Smiles all around! Parishioners at Our Lady of Victory are full of warmth and enthusiasm. At the moment, parishioners gather together to pray in a small family garage. Space and facilities are very limited, but this doesn’t dampen their spirits! 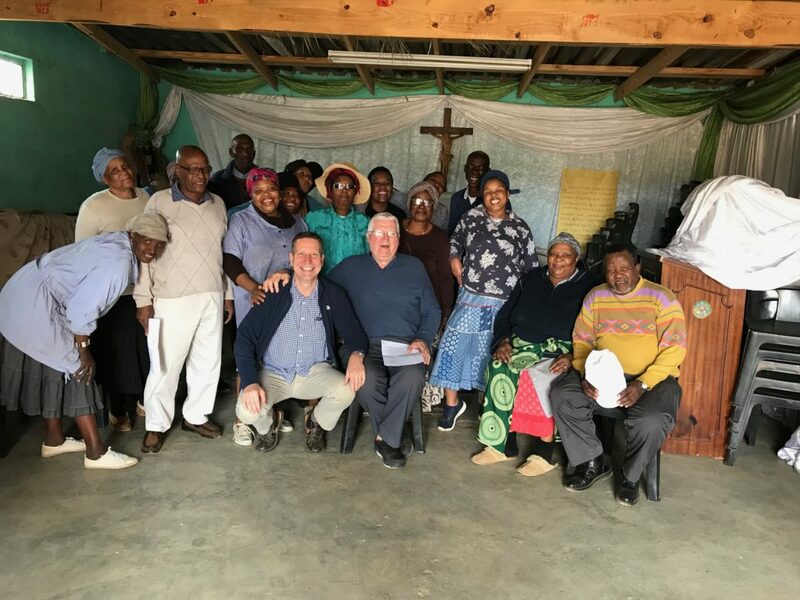 Irish Provincial Superior Fr Carl Tranter MSC was given a warm local welcome on his recent visit, and Fr Martin shared his enthusiasm for the new developments in the ongoing project. Fr Martin Morrissey MSC with parishioners at Our Lady of Victory. 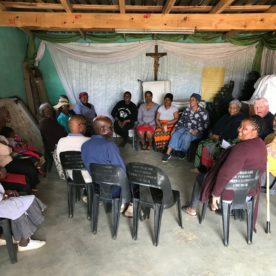 The Missionaries of the Sacred Heart are hard at work in Tsakane, a township near Johannesburg that was established in the 1960s. 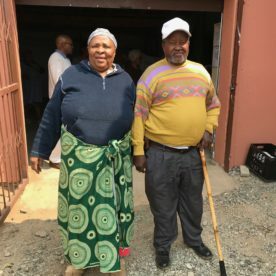 As is the case in many areas of South Africa, the population of Tsakane struggle with social and economic issues, with poverty being one of the main challenges faced in the region. 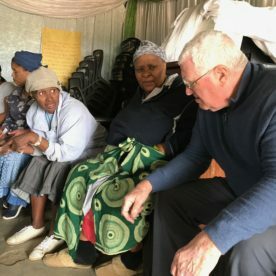 “There’s a lot of poverty around,” says Fr Martin, “and we do our best to help wherever we can.” A feeding scheme at St Paul’s brings much-needed nourishment to local families, and our MSCs work alongside the Dominican Sisters in the area to bring practical aid and spiritual guidance to vulnerable families who have nowhere else to turn. The new church will be a welcome boost to the community of Our Lady of Victory, and we look forward to following Fr Martin and his parishioners on their journey as they bring their plans to fruition. 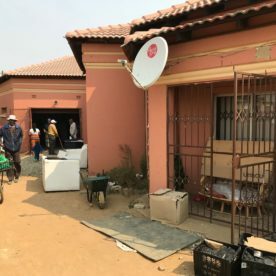 Greetings from Tsakane, South Africa!